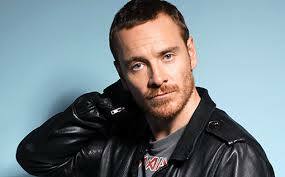 Michael Fassbender is yet another male celebrity with a (possible) history of domestic violence which is rarely mentioned. At least, TMZ reported that his ex-girlfriend took out a restraining order on him in 2010 alleging a serious assault which involved breaking her nose with a chair. There were several other violent episodes listed in the restraining order. The petitioner withdrew in April 2010 and this is all the evidence I have as to whether or not Fassbender committed domestic violence. The balance of probabilities is that he did. Withdrawal of allegations is common in cases of domestic violence. This is what makes keeping the #dickheaddetox accurate difficult. So few men are actually convicted of domestic violence that I do think it’s important to keep a list of those who are accused of domestic violence. Statistically speaking, its probably true. Too bad you didn’t do your homework. Had you done so, you might have learned that the District Attorney continued the investigation after the woman dropped her allegations as is protocol in Los Angeles. You might have also learned that Fassbender, at no point, was ever charged with anything, that he fully cooperated with authorities and that the DA eventually closed the case due to lack of any evidence that supported the woman’s story. Also, I’m sure that since you read that TMZ “article” you learned the woman’s name. Check out her IMDB profile and take a look at the photos she has put up of herself and Michael Fassbender. Yeah, I know if some guy beat the crap out of me, I’d put pictures of us up on my IMDB profile for sure. There’s lots to this story that you don’t know or are choosing to ignore. But thanks for continuing to spread these false allegations about this man. Perhaps you would like to reread what I wrote since I think you will find that I did not say he was charged with a crime. I said a restraining order was taken out on him which was then withdrawn. I do not name victims of male violence on this blog unless necessary. Women deserve anonymity. Their abusers do not.